Gauges in the dash let you know if there is any problem with your engine but what about the brakes, suspension and steering, it can be a complete mystery. 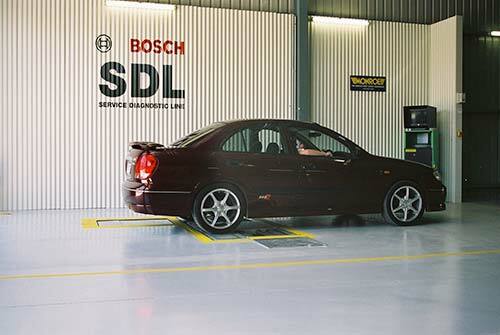 The Bosch SDL Lane Tester is a full health check for your car. A colour coded report can give your car a “Green” bill of health or a “Red” warning of problems. This is a cheap insurance policy to give you the confidence in your car’s ability to handle an emergency situation. 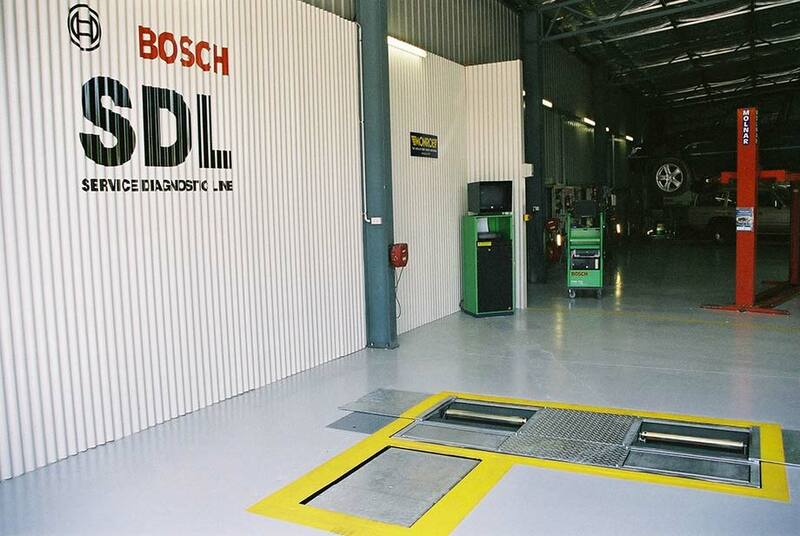 The SDL tester first gives a rapid assessment of the wheel geometry by measuring the lateral deviation ( Side Slip ) of one wheel in comparison with the other wheel. This clearly indicates on a detailed report if the wheels are steering in the right direction, this is essential for safe handling and economical tyre wear. 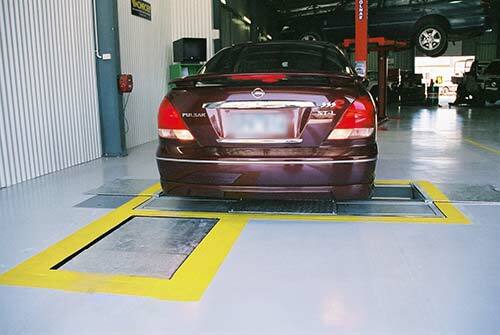 The Suspension Tester first weighs the vehicle axle load then simulates road irregularities at different speeds, during this time a road grip value is continuously measured and recorded. 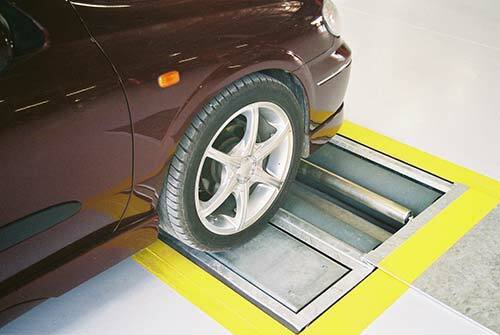 This is an extremely accurate way to diagnose shock absorber, suspension, ball joint and spring condition and reflects the tyres effective road holding ability. (a) The rolling resistance of the wheel, indicating tight bearings or grabbing brakes. (b) Brake Disc/Drum out of roundness and wear. (c) Maximum Brake efficiency. This can be compared left/right, front/rear and diagonally and will indicate how straight the car will brake in an emergency. On completion of the test a report is produced which clearly indicates the results in an easy to read report.